Kids rave. Grownups save! 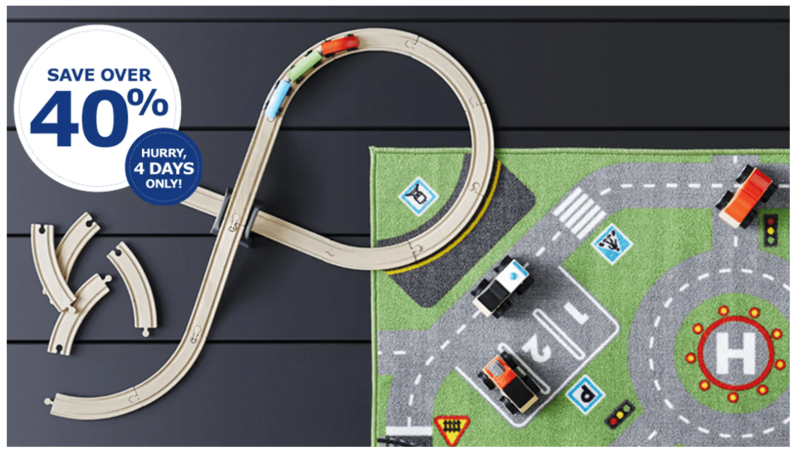 IKEA Canada has a bundle offer where you can save 40% off LILLABO 20 piece train set + STORABO children’s rug. Get them now for only $14.99 – Save 42% (Regular price $25.98). Discount price applied once both items have been added to cart. Hurry, 4 days only, ends March 10 2019.